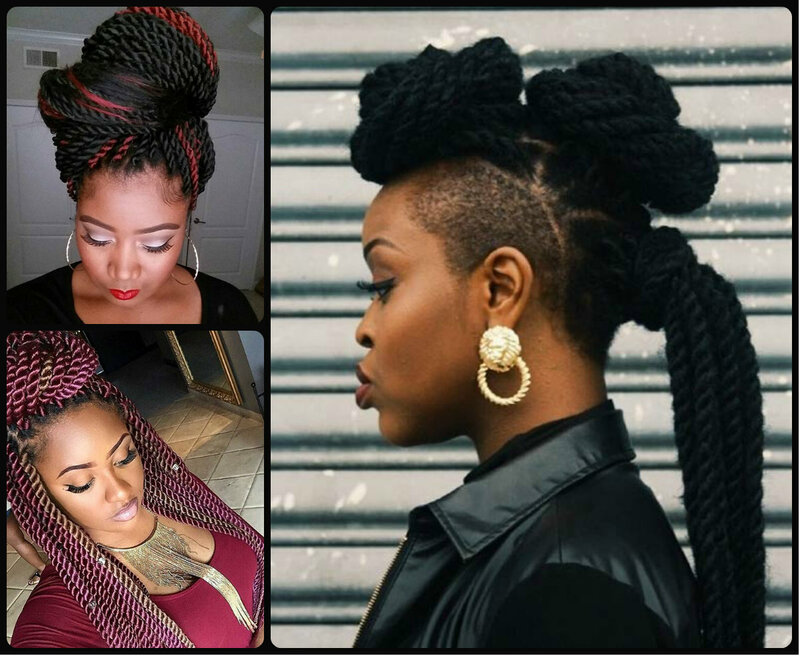 How to style box braids? This is the question that hits you once you have decided to have these protective hairstyles. If you have long hair, then the variety of styles to make is endless, any possible hairstyle for long hair can be also reproduced on long box braids. However, you will need time to style them, some efforts and skills. So that is why for the most busy and stylish of you, I'd offer trying short box braids, and to be more precise classy bob hairstyles made of box braided hair. Box braided hairstyles have been with us for ages now, and we may think that like all other popular hairstyles they will fade away soon. Well, this statement is true about many hairstyles but not the African American box braids. What makes them so popular through all seasons and weathers? Well, one of the significant factors is that they are protective natural hairstyles. With box braids you can grow out your hair easily, and do not worry about contamination and pollution. Then, box braids are easy to live with. Once you have them, you can forget about hours wasted on styling for a whole month or even two. And besides they are versatile and cute. You can wear you stylish box braids long and straight a la Solange style, or you can create buns and other updos, you can have them one colored, or try being a blonde or multicolored. Each woman should have in her hairstyles set some unbelievable updo hairstyles. 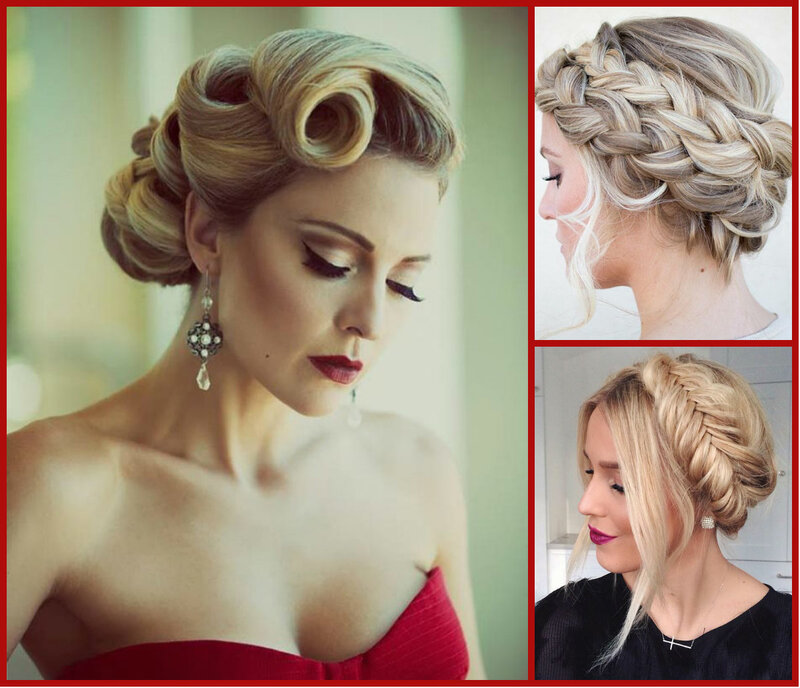 This is a must, cause weddings, proms, cocktails, and many other events can't go along wiothout effective fantastic looks that are mostly due to updos. Besides sometimes even on a regular day you may want to look special and glaring, and this can't be by just pulling hair into a common ponytail. You will need some best and trendy updo hairstyles 2015 for that. For sure the main condition for creating such an updo is having long hair. And you should have learnt it long before when hair trends 2015 openly stated that long hairstyles are the tendency. Hair trends 2015 have been guiding us through the world of fashion and insisting on having long hairstyles over and over again,. And if you were smart enough to start growing out hair long before, I am sure that now you already have the desired length tresses and can easily recreate the most amazing classy French braids hairstyles that are so hot right now. Actually French braids never went out of fashion. All the time we see them here and there, and they just live another evolution every time. Classy French braids are really nice and elegant, but the trends have brought out Ducth braids and fishtail that are all plaited on the basis of classy braid we really love. The owners of natural black hairstyles bear hot summer weather not very easily. And it is only because of their natural curls. Curly hair become almost unmanageable in hot sunny day and whatever hairstyle you try in a couple of hours you return to have the same curls again. But there seems to be a solution, and it is updo hairstyles that for natural hair are better with braids. 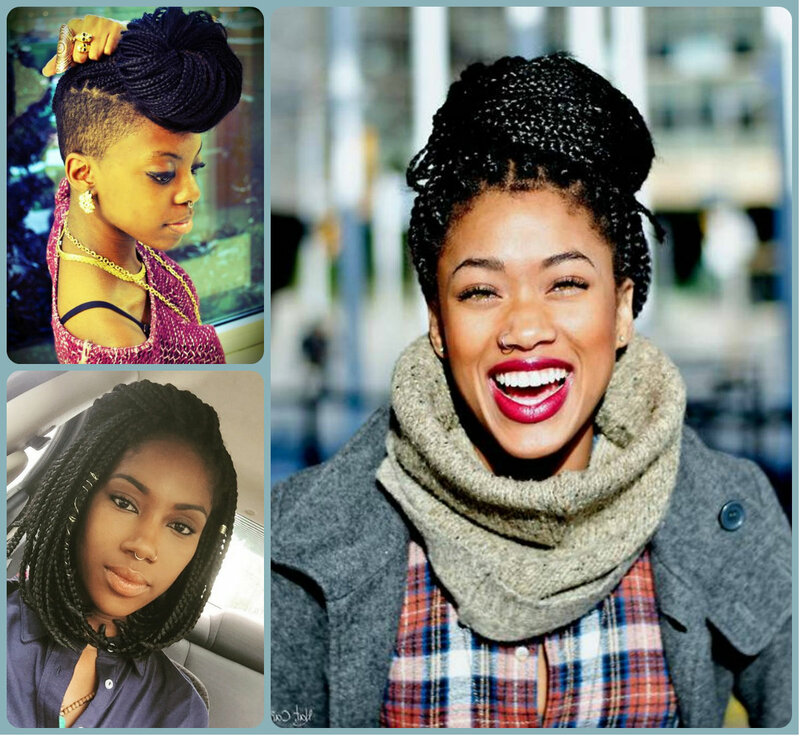 For African American hair type braids and box braids precisely are the best protective hairstyles, that can save hair from pollution and save your nerves from dealing with frizzy tresses all the time. But besides, you can actually try any braided updo hairstyles to rock summer 2015. Black women face a lot of problems with their hair texture. On the one hand they have thick black hair, but on the other it turns out to be incredibly difficult to deal with naturally curly hairstyles. For sure from time to time you can straighten your tresses and look very cute, but it requires time and you can't afford to do it each morning. Besides during hot weather it even makes no sense, cause sleek hair will turn wavy soon enough. So what to do? 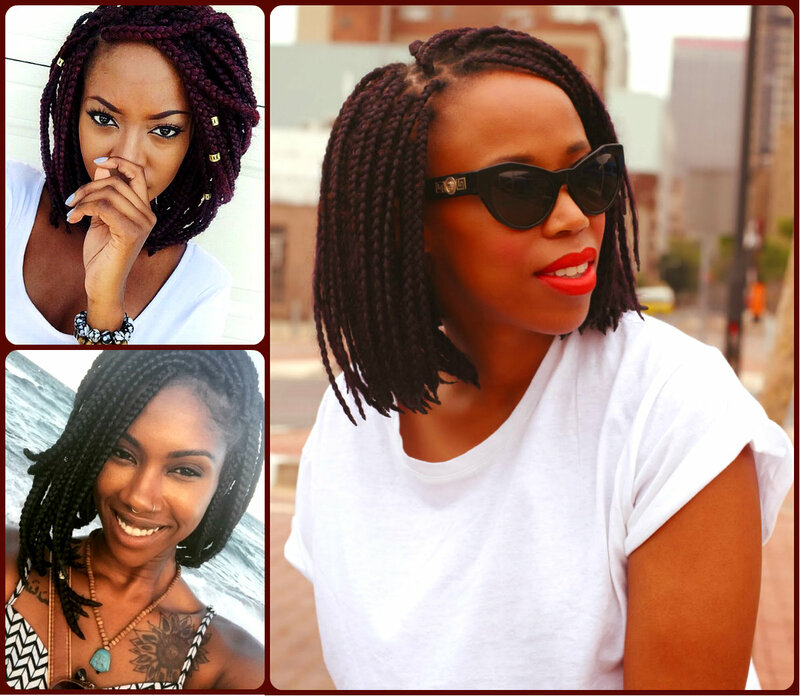 Choices are two: either box braids or twist hairstyles. 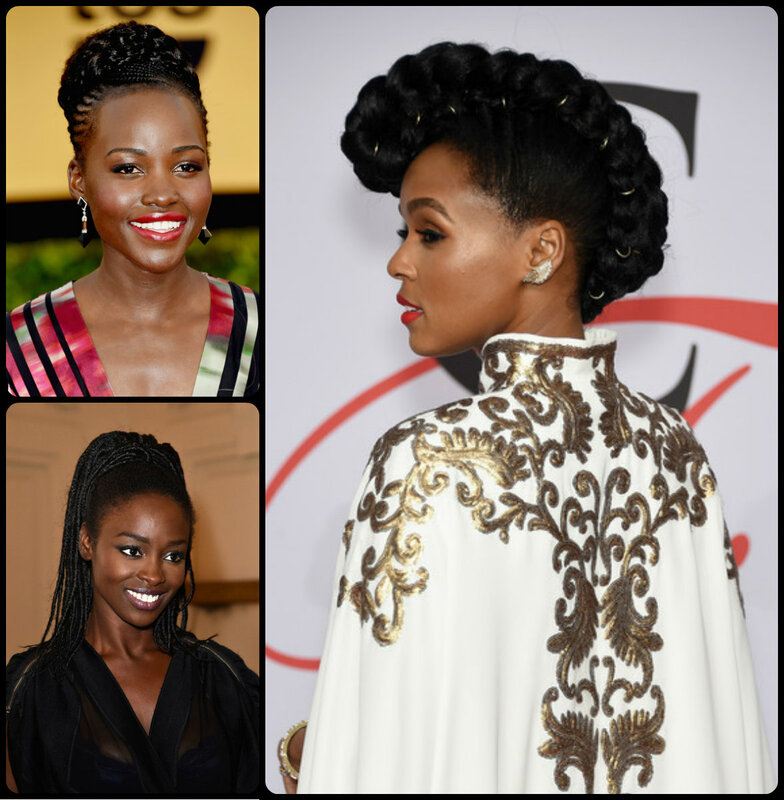 This post will be devoted to twist hairstyles for black women to look unforgettable. When I say two options you may think it dull, but scroll down to see that twist hairstyles can be turned to any hairstyles you may think off. 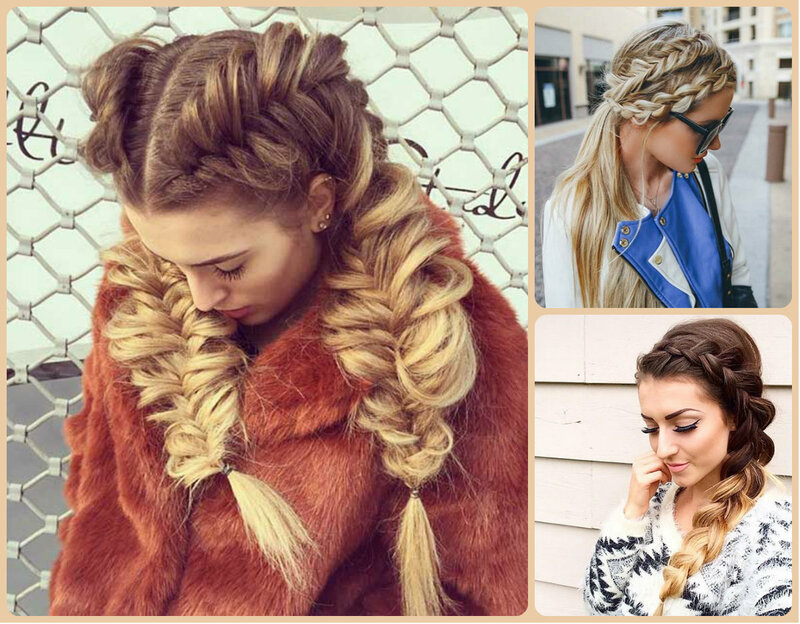 What can be more suitable for any occasion tha braids hairstyles? Nothin I suppose. We have seen braids that look sufficient and classy, the ones that are stylish and street style, other are the braids for short hair. And many many other designs. And beyond any doubt braids are ideal for school too. Teens can have the vast variety of back to school braids hairstyles for fall 2015, all you need is to scroll down this article and find out the hottest braids. Well, you must know that for school no complicated design are appropriate and not beacuase it is a school, but because waking up in the morning you will have no desire to spent time on your long hairstyles. So choose among the below hairstyles pictures to find out braided solutions that are easy to create and maintain and at the same time can reflect your character and mood.